Based just north of Oakland, CA, The Earth Mined started as a way to provide small batch CBD oil for a 9 year old girl with Autism. The amazing, positive, effects CBD had with her inspired us to expand our production. With hemp sun grown in the Bay Area and Kentucky, the Earth Mined has increased the production of their 1000mg tincture in hopes to help other people. 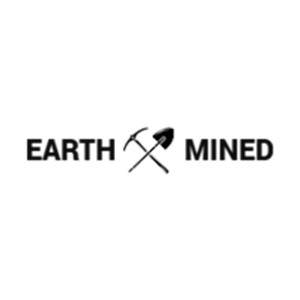 The Earth Mined provides enriched 1000mg CBD oil tincture. A natural wellness supplement made from all natural, non-GMO phytocannabinoid hemp. It is carefully extracted to give you a full spectrum of naturally occurring cannabinoids and terpenes that regulate the functions of your body. It contains under 0.03% THC to ensure your safety. Our CBD tincture is 100% USA grown hemp, certified lab tested, regulatory compliant, and non-GMO. Good for 20% off and specific for PureTHC website(s).